Although it is always best to back up your iPhone contacts, not all people do this, or do it sparingly. Sometimes, you can delete a contact by mistake or need a number that you deleted ages ago. If any of these is the problem, you can import the contacts saved in your email (e.g. Gmail) and save them to your iPhone. All the contacts are saved in a .vcf file which you can open and restore all contacts. You can also import vcf to iPhone 7 using iTunes from your backups. Here are 3 ways to import vcf to iPhone 7 or 7 Plus. Email the VCF files into your iPhone. Open the email, tap on a specific VCF file that you want to save as a contact and click "Create New Contact". If the number is already in your contact list, you can choose "Add to Existing Contacts". After this, press "Done" to import the contact data into your iPhone. Log in to your iCloud account using your Apple ID. Once logged in, go to the side bar when in the iCloud window, and click the Action pop-up menu. The menu will bring you a number of options. Press import vCard. 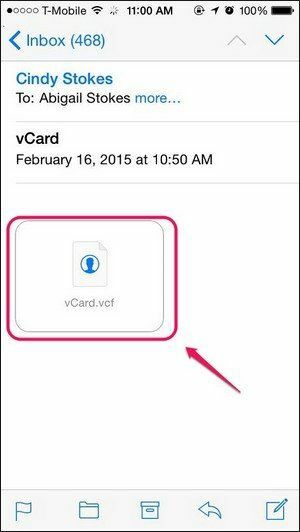 This will take you to another page listing all the available vCard files on your iCloud account. You can choose a vCard file you want to import. If you import all files, they will be saved separately in "All Contacts" on your iPhone device. If the vCard refuses to import, it may be due to a problem with the size of the vCard file. If it exceeds the iCloud contacts size limit, you may have to use an alternate way like sending the vCard file to an email and repeating the first option in importing vcf files. Step 1. Open the "Contacts" app from your Android app drawer. On the top left, tap the three dot icon to open settings. Step 2. Tap on "Import/ Export" and select the contacts source e.g. 'Copy contacts from' Google account, SIM card or Phone contacts. Step 3. Select the destination target in this case 'Copy contacts to' either "Internal Storage" or "SD card". Step 4. Check the contacts you want to import. Press OK when prompted to export contacts to a .vcf file. Step 5. After exporting to a .vcf file, connect your Android phone with a USB cable and move the VCF file from the SD Card or Internal Storage to the desktop. Step 6. 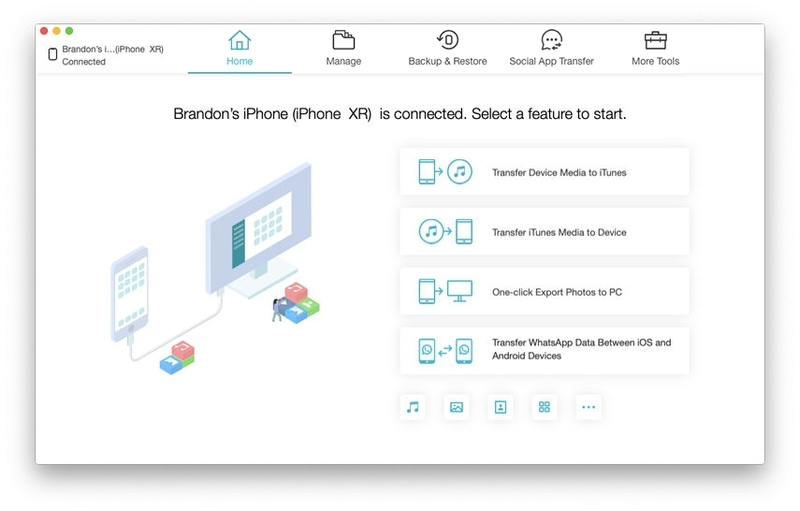 Launch iCareFone and connect your iPhone 7. On the main interface, select "File Manager" which shows all file categories e.g. Contacts, Apps, Music, Photo etc. Step 7. Click on "Import" and prepare to choose VCF file saved to the computer desktop to import multiple vcf to iPhone 7. They will be transferred to your iPhone within 5 minutes via iCareFone app. Click "Refresh" if they don't appear immediately. That is how you can transfer contacts from old phones to your iPhone. These methods are great if you have a new iPhone and want to move contacts from your old phone. Emailing your vcard contacts file and downloading them is a quick way to restore contacts. However, iCareFone is the fastest way to do it and you can also move multimedia files and messages as well.